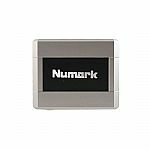 Notes: The Numark STEREO/iO interface is a connection box that turns analog audio into digital signal. The STEREO/iO has RCA plugs for use with virtually any audio equipment from DJ mixers to turntables, its other end has a USB connector for your Mac or PC. You can connect any line or phono-level gear to your computer for recording, mixing or processing. Or you can also use the STEREO/iO interface as an output cable from your computer to inputs on an analog mixer, enabling you to mix MP3s and other music from a computer in your standard DJ mixer. The STEREO/iO interface is a low-cost, problem-solving tool that can be invaluable for DJs and musicians at a gig or in the studio when you need to make a connection. The class-compliant USB device works plug and play for Mac and PC, requiring no software-driver installation or external power for operation. The STEREO/iO is the perfect insurance policy for any working DJ. Never let making the connection stop you from a great gig. Notes: The INTERFACE 2 opens up Rekordbox DVS to anyone, anywhere. This 2-channel audio interface allows you to scratch and control the music from your Rekordbox library using your own preferred DJ equipment. Connecting it is quick and simple. 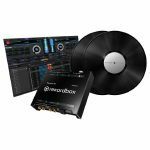 The INTERFACE 2 audio interface comes bundled with licence keys for Rekordbox DJ and Rekordbox DVS, as well as 2 control vinyls (RB-VS1-K time coded vinyl records). So start scratching your digital tracks as soon as you unbox your gear. With its crystal-clear sound, inherited from our professional DJ gear, the INTERFACE 2 guarantees professional audio at all times. Audio files up to 96kHz sampling rate are supported by the high quality D/A converter designed to give club standard sound. Take the INTERFACE 2 out on the road with confidence. The unit is compact and portable, yet highly robust in its seamless aluminium casing with extended edges that protect the terminals. Easily record and capture your vinyl or any analog sound source using normalize technology in Rekordbox. There's no need for extra volume or recording monitoring as this is done automatically by a single click in the software. Use the 2 included RB-VS1-K time coded vinyls or download a custom control signal WAV file, if you'd like to use CDs or USB drive to scratch with your players, controller or all-in-one system. Choose your preferred source of power, be it via USB or via an AC adapter. Both are included in the box, allowing you to keep your options open. The INTERFACE 2 is designed to firmly hold your turntables' ground wires, thus reducing noise. The GND knob stays attached even when fully turned, so there's no chance of it falling off. Record audio to your computer or send out audio to your speakers using your interface. 3 samples rates are supported: 44.1 kHz, 48 kHz and 96 kHz. 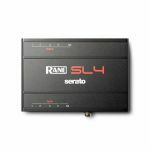 The Rane SL4 for Serato Scratch Live connects 4 vinyl turntables or CD players to your computer and the mixer of your choice. Using special control vinyl, CDs or MIDI controllers, you can scratch and mix files from your Mac or Windows computer's CD or hard drive. This intuitive system replicates the traditional DJing experience for real feel usability. With unparalleled performance, stability and audio quality, you'll know why thousands of DJs worldwide choose Rane with Serato Scratch Live. The Rane Serato Scratch Live SL4 interface is the first Standalone DJ interface with 2 USB ports for seamless DJ changeover and back-to-back performances. Superior sound is delivered with high quality 96 kHz, 24bit audio. Built-in galvanic isolation between USB and audio with turn on/off muting ensures that only the purest interference-free audio signal is heard. Low-latency ASIO and core audio drivers allow you to use the SL4 interface as a studio production tool with multiple third-party software applications. The Rane Serato Scratch Live SL4 is masterfully crafted by Rane for the discerning DJs.